International and Austrian photo art is available for rent for private persons as well as companies. 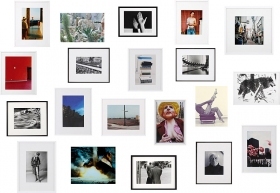 High quality prints, produced in collaboration with numerous well-known photo artists, constitute, the basis of the Fotohof artothek. The idea behind this concept is to enable the general public to put up pieces of photo art onto their walls without the pressure of buying the image. The pieces are framed and can be rented for only 8€ per two months. After this period it is possible to extend the lease for up to one year or to buy the pictures. The artothek started April 2009 with 82 pictures and it is gradually growing. Katrina DASCHNER Johanna DIEHL Peter DRESSLER VALIE EXPORT G.R.A.M. 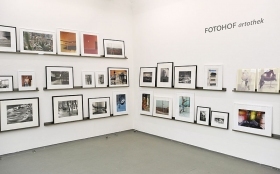 Ugnius GELGUDA Antje HANEBECK Edgar HONETSCHLÄGER Rainer IGLAR Alfredo JAAR Leo KANDL Paul KRANZLER Tatiana LECOMTE Paul Albert LEITNER Ulrike LIENBACHER Reinhart MLINERITSCH Inge MORATH Andrew PHELPS Michael SCHÄFER Lilla SZASZ Herman SEIDL Wolfgang THALER Christian WACHTER Elisabeth WÖRNDL.